Discover AES lithium iron batteries are a good choice for systems that require daily deep cycling for off grid, self-consumption, peak load shaving, and other similar systems. 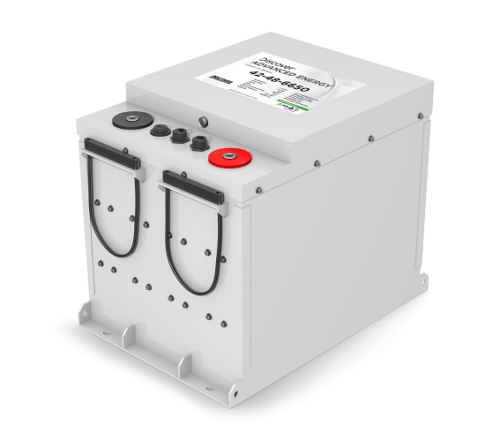 These Discover AES 42-48-6650 LiFePO4 (Lithium Iron Phosphate) batteries use the commonly preferred lithium technology for stationary energy storage. The batteries are thermally stable and have high cycle life, compared to some other Li-ION technologies. Cycle life is showing over 4,200 cycles at full depth of discharge and counting. Lead acid batteries have been commonly used for energy storage but with recent developments in technology and more cost effective pricing alternatives, lithium iron batteries are becoming more popular. In addition, the low maintenance and fast charging times of the new batteries are a big improvement. Unlike lead acid batteries that can usually only be discharged 50 percent, the lithium iron phosphate batteries can be discharged 100 percent and in addition they charge 5 times faster. These new charging efficiencies mean a smaller battery bank is required, a cost savings to the owner. The Discover Advanced Energy System (AES) batteries have a built in Battery Management System (BMS) that keeps the individual cells balanced and within the correct parameters for longest life. If operating parameters are exceeded for over 2 minutes the battery will be shut down. The BMS monitors cell module voltage, battery voltage, battery current, battery temperature and battery state of charge. It also keeps a log of this data and can send out fault and warning events. There is an AEBus connection for communications between multiple batteries. The AES 42-48-6650 (and 44-24-2800) have a Xanbus connection that communicates directly with a Schneider XW+ or SW inverter system. It reports to the Conext SCP or Combox as a battery monitor device. This battery can also be used with most other inverters like OutBack and Magnum and use the Conext SCP or Combox for monitoring, and the Conext AGS for generator control. 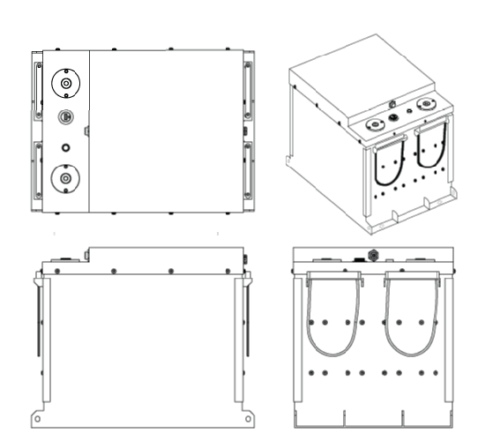 Safe and robust Lithium chemistry type, strong steel case. Extensive PC computer or tablet monitoring via a USB connection. 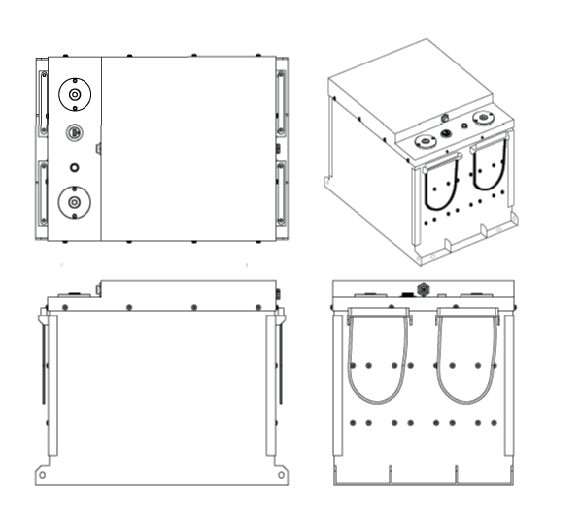 The steel enclosure is rated to IP55 (approx. NEMA 3R) but is not recommended for outdoor exposure. Terminals are post type, M8 female threads, with supplied bolts and washers. The charging temperature range is 32°F (0°C) to 113°F (45°C), with a recommended operating temperature range is 59°F (15°C) to 77°F (25°C) for maximum life and performance. Be the first to review “Discover AES 42-48-6650 Battery” Click here to cancel reply.